The Housing First (HF) approach for homeless adults with serious mental illness has gained support as an alternative to the mainstream “Treatment First” (TF) approach. In this study, group differences were assessed using qualitative data from 27 HF and 48 TF clients. Dichotomous variables for substance use and substance abuse treatment utilization were created and examined using bivariate and logistic regression analyses. 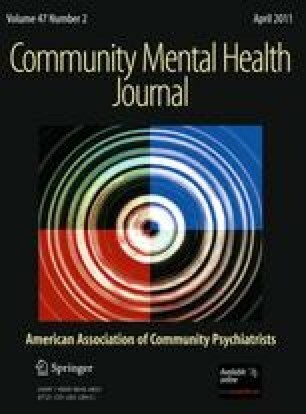 The HF group had significantly lower rates of substance use and substance abuse treatment utilization; they were also significantly less likely to leave their program. Housing First’s positive impact is contrasted with the difficulties Treatment First programs have in retaining clients and helping them avoid substance use and possible relapse. This project was supported by grant #R01-MH69865 from the National Institute of Mental Health.